In today’s world, stress effects all of us, young and old. Effective stress-busters, when used in the right manner relieve this stress to a large extent and help to develop a positive attitude. The students of classes Pre- Primary to class X displayed a graffiti wall in their classes on which they wrote about what things, events, incidents etc. that make them happy and cheerful. 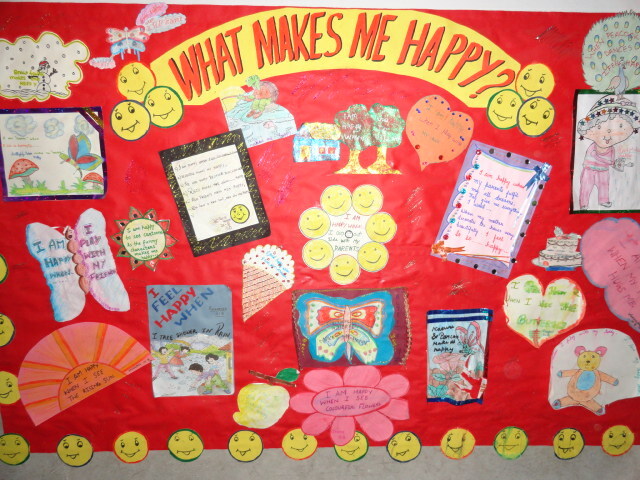 Everyone enjoyed the activity and gave the feedback that the display in their classrooms helps them to feel energized and happy.